In the past four years, since the Thar Express between India and Pakistan was flagged off, over 5000 Pakistani have crossed over to India. The weekly train starts from Karachi, enters India at Munabao, a border town in Barmer, and runs up to Jodhpur. 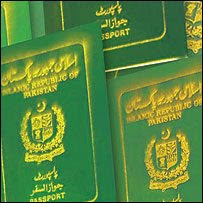 The government figures say that in first year (2006) around 392 Pakistani, including Hindus, came to India. The figures increased to 880 in 2007, 1240 in 2008. This year, till August, over 1000 have crossed over. They just keep extending their visas and hope to become Indian citizens. Sources say there are many more who cross over and melt in the local milieu. And officials have a soft corner for these people, most of whom have harrowing stories to tell. The condition of minority in Pakistan consisting of Sikhs, Christians and Hindus is really very bad, and the government is unable to take any action as they have soft corner for Taliban, which is an indirect source of income to them. Every month Pakistan receives billions of dollars as aid from U.S, EU and other friendly nations to destroy Taliban, but Pakistan instead, used that money in anti India activities (See : Is Pakistan using US aid to expand nuclear arsenal?) & (See: Pak Using US Aid for War Against India). In 2007 the Indian government gave permanent citizenship to many such refugees.